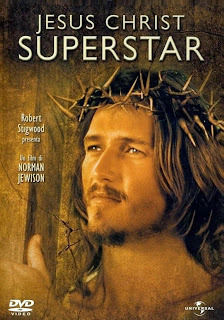 Authentic Light: Jesus Christ Superstar Saved My Soul! 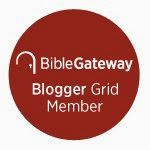 Synchroblog is a little community of mostly Christian blogs that post on a particular subject each month. Read more about it here and (assuming you're on Facebook) here. This month our topic is "My Faith Journey." The bloggers who posted are listed at the bottom of this post for you to peruse. Visit them all! We're an interesting and eclectic group! Talking about myself is one of my least favorite things to do. It took me years before I even put a blurb about myself in the "About" section of this blog. When people ask about my testimony I usually try to leave it (unsuccessfully most of the time) at, "I didn't look for him, he came after me." But, bowing down in submission to the Synchroblog Magisterium, here are a few words about the Lord's dealings with J A Carter. I was born and bred Catholic. My father came from a long line of Catholics whereas my mother joined after a long search for a church she could believe in. She chose Catholicism in part because it seemed to her to be the oldest church. When I was born, mom told me, she consecrated me to God and rather expected me to grow up to be a Priest. Regrettably, I never got much out of Catholicism myself. The Catholic Church is as profound or as shallow as you want it to be. Many of the Christian Movement's greatest theologians, deepest writers, and bravest heroes, whom I found I needed to study in my adulthood, were always there for me in the Catholic Church if I'd only known where to look. If somebody had hooked me up with Francis of Assisi, Aquinas, the Apostolic Fathers, or Teresa of Ávila I'd most likely be there to this day. But as I experienced it, Catholicism was about wearing itchy clothes, listening to organ music (which was by far my favorite part), and going through fascinating but incomprehensible ritual actions and gestures. My memories from catechism (i.e., "Sunday School") consist mainly of reenacting The Good Samaritan using coat hangers as clubs (I was the guy who was beaten and left half dead), and later on discussing contemporary issues such as whether Jesus Christ Superstar was blasphemous (Oops! I think I may just have dated myself with that last statement.) I had the album so this was a relatively important topic. I think we decided it was ok. But then one day we left the Catholic Church. A radio preacher had persuaded my mother that it was actually "The Great Whore Babylon," and my dad had lost interest due to the Vatican II changes. For the next few years of my teenagehood, I believed in nothing in particular and was glad to be free of going to Church. But I always had this nagging feeling that there was more to reality than just this -- this physical "stuff." And if there was I wanted its help in dealing with my teenage problems, like being popular, conquering shyness, and getting girls to like me. I had no desire for religion or worship, no sense of needing salvation from anything. What I did need was power and control over my life. So eventually I found myself looking at the supernatural, which to me could well include religion. Copies of the Living Bible were on sale at our local drugstore so I bought one and read the Bible through (mostly) for the first time in my life. For good measure I visited the library and checked out the two other major books that, according to my world history teacher, were considered "inspired" instead of just exceedingly wise advice: the Quran and the Gathas. For some reason he didn't mention the Book of Mormon, but I had a copy from a Utah hotel room, so I read that too. None of them impressed me much though. So I turned to the one thing in my limited experience that promised actual power over my world: Occultism. As usual when I became interested in a subject, I checked out every book on it in the library. A few friends and I practiced telepathy and psychokinesis, which seemed to actually work. Eventually I came to "opening my chakras," which were supposed to be 7 centers of psychic power in my body. This was obviously something that I wanted. But my reading also considered it to be rather dangerous. If not done correctly, Satan could use this procedure to drive one insane, which alarmed me. I had been feeling an odd sense of oppression lately too, like there was a struggle going on for my brain, like it might split apart. One needed spiritual protection, my reading materials told me, preferably from one of the "Elder Brothers" -- famous spiritual adepts like Buddha, Jesus, Krishna and such who had achieved perfection and were now helping others to progress towards enlightenment.